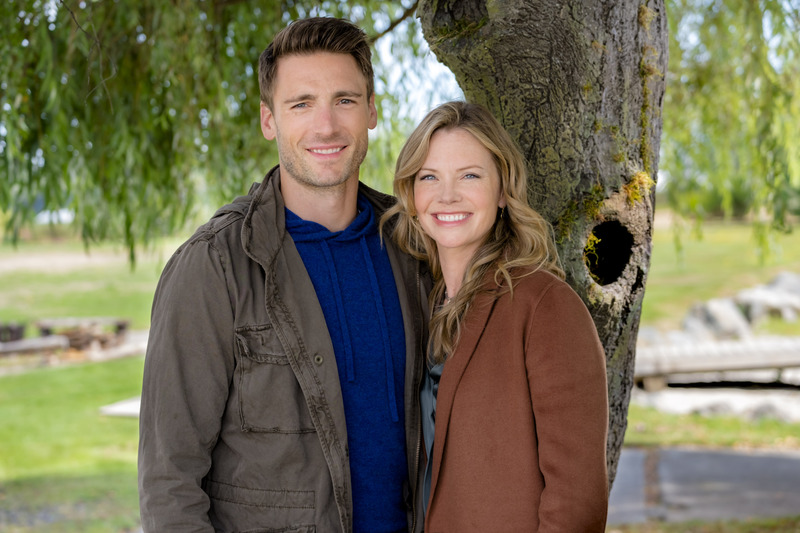 The networks are easing off the gas a bit this weekend, with premieres on Hallmark Channel Saturday and Sunday, Lifetime and ION on Saturday, and Hallmark Movies & Mysteries on Sunday. Check out Tina’s exclusive interview with Vivica A. Fox and preview of ION’s A Christmas Cruise here.Â Click on the titles below to go directly to each movieâ€™s web page. Times listed below are first airing; all repeat through the end of the year. 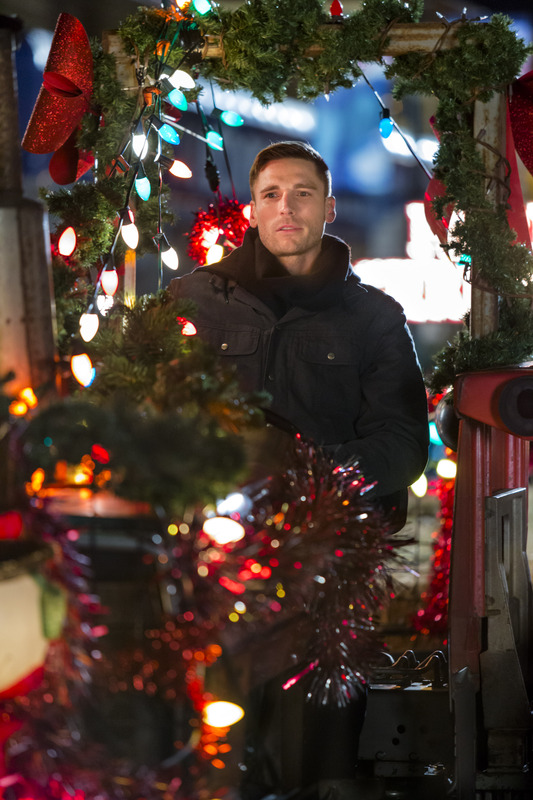 You can also find all of our Christmas movie previews and features in our handy TV Movie Goodness section. The life of confirmed bachelor Eric (Jesse Metcalfe) is turned upside down when he agrees to care for his young niece and nephew a week before Christmas, his absolutely least favorite time of year. 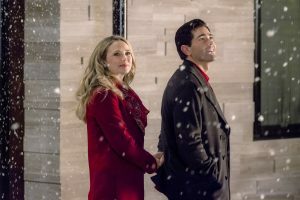 As he struggles to â€œmake Christmasâ€ for the kids, with a little help from his next door neighbor, April (Fiona Gubelmann), he learns some valuable lessons about the value of family, love, and the joy of Christmas, as seen through the eyes of children. Jenna (Bethany Joy Lenz) and Kevin (Andrew Walker) are polar opposites, working for the same online publication in New York. Against their wishes, they’re paired for a special writing assignment in a last-ditch effort to save their jobs. After a snowstorm forces their plane to land in none other than Santa Claus, Indiana, the week before Christmas, the focus of their story shifts to saving the historic town Inn where they’re staying, run by Carol and Christopher Winters. 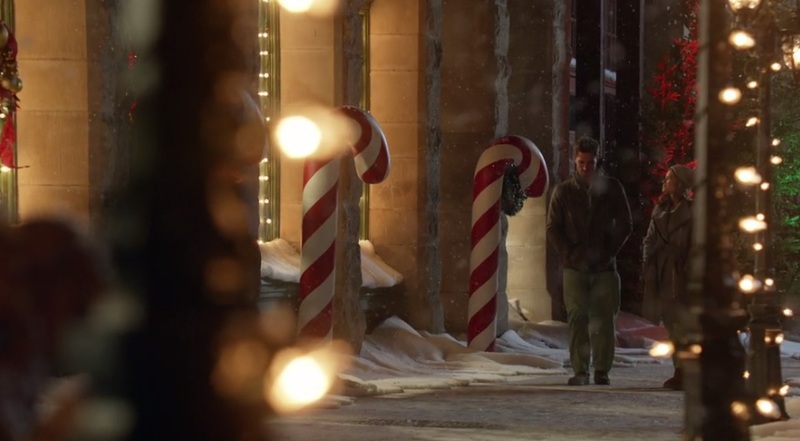 As the two overcome their differences, they also rediscover the magic of Christmas. But with the Inn’s fate in jeopardy and the return of someone from Jenna’s past, Carol and Christopher lend a helping hand to bring Jenna and Kevin together. 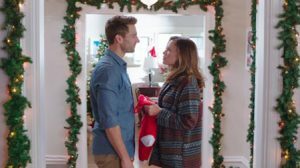 It’s really, really well done and a great addition to the other holiday movies Walker (A Bride for Christmas and Dashing Through the Snow) and Lenz (The Christmas Secret) have done. I adored them together here. Walker had just filmed the movie when I spoke with him in October, and he talked about it here. Here’s a sneak peek and a music video Walker and Lenz did to accompany the film. Brooke Burns returns to the Hallmark Christmas fold after a nine-year hiatus–her The Most Wonderful Time of the Year back in 2008 is still one of the very best that was ever done and reruns often, so I’m hoping the same for this one. 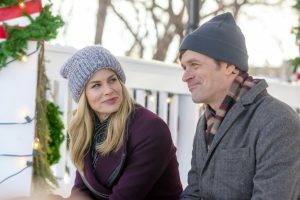 Here she stars as Sydney, a flight attendant whose plans for a tropical Christmas get delayed when she helps an unaccompanied minor get home to Chicago to her dad Jonathan (Tom Everett Scott), a widower and investigative reporter. Once there, she’s marooned for several days in the same city she called home as a small girl. 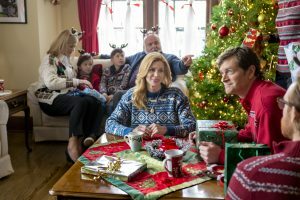 Pretty soon Sydney and Jonathan make a pact: he’ll help her uncover how her late parents met, and she’ll help him to write the perfect Christmas story and keep his job. Workaholic Molly (Nicky Whelan) spends her forced holiday vacation at an enchanting bed-and-breakfast inn in Vermont, quite by accident, with fellow traveler Jared (Josh Kelly), who has rubbed her the wrong way since they first met. When she begins to relax, she becomes the driving force behind a campaign to save the struggling lodge and learns about the power of kindness, understanding, and love when you least expect it.